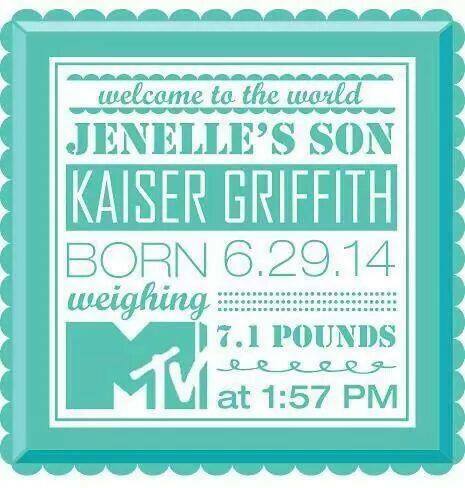 New Details About the Birth of Baby Kaiser! PLUS: When Will We See Pics?? She announced the birth of her son a day later with the above photo of his foot. Nathan says that due to “a certain stipulation,” they can’t show any photos of the baby’s face right now. That stipulation is most likely that they have a photo-shoot planned for this weekend. Leah and Kailyn went through the same thing, their babies were revealed in a magazine spread. (This is usually set up by MTV.) So we can expect to see those photos relatively soon! I can’t believe Jenelle and Nathan are in this!